Today, we are going to visit the Netherlands where design professionals Hamers Architects have created a gorgeous family home with the most stunning swimming pool. In South Africa, we know how important a swimming pool can be especially as summer approaches. It's a multi-functional area where the family can come together and relax in the cool water, play games, host braai's or just do some laps for exercise. With the climate heating up across the country at the moment, our interest in swimming pools is certainly on the rise. This home is a wonderful example of how beautiful a swimming pool can really be, enhancing the look and feel of a home. 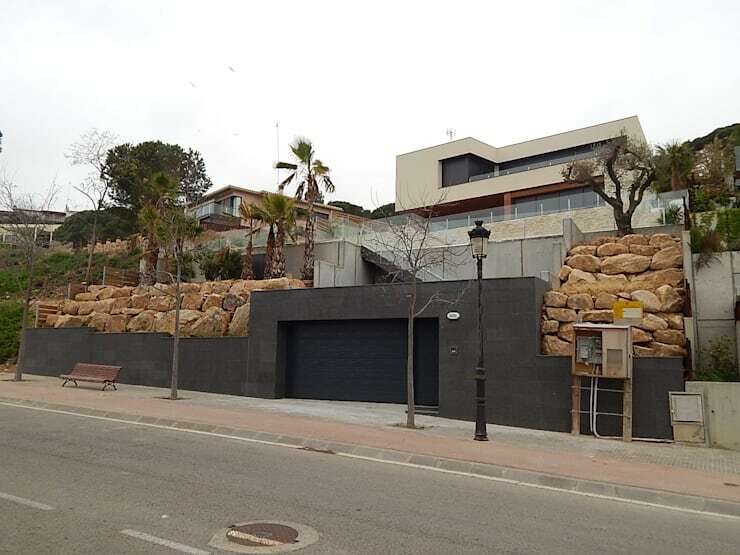 We will also see how this particular home has been created so that it has a constant connection between in the interior and exterior spaces. The look and feel of the facade is very elegant and appealing, featuring 50 shades of grey! These grey tones work in harmony with the large boulders and the beautiful and natural green trees and bushes, creating a bold statement. We can see that the home is grand in size, spreading over several layers while the garage space completes this perfect and neat package. Here cars and other vehicles can be stored out of sight, keeping the exterior space looking tidy and sleek. 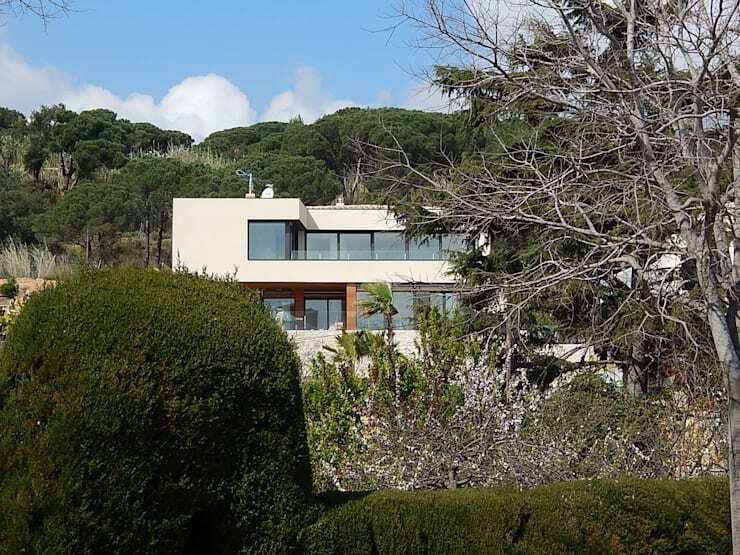 Already we can see that there is an abundance of windows and doors throughout the facade, creating that seamless connection between the interior and exterior spaces. From this angle, we can see how windows and doors are spread throughout the facade home. This ensures that the interior of the home is flooded with natural light and is well ventilated, which makes for a very appealing home. We will see this for ourselves when we enter this beautiful home. We can also see from this angle how the designers have gone for a neutral colour palette, which works in harmony with the glass windows and doors. This is a modern home that is simply marvelous! 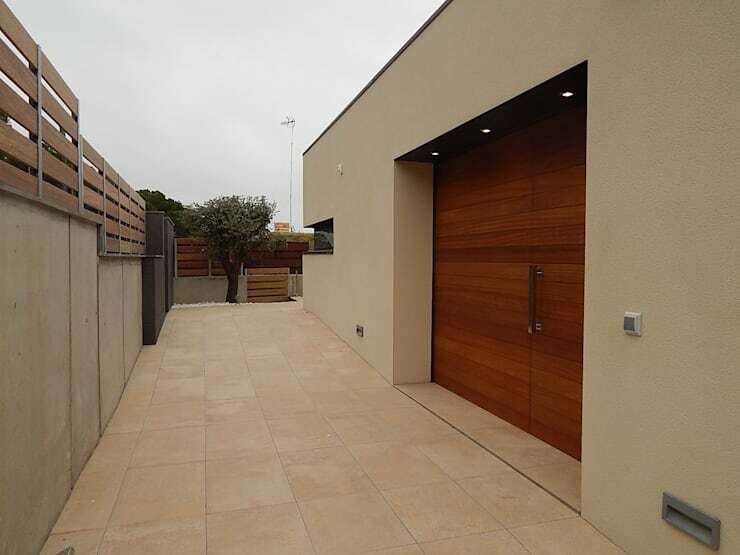 The entrance to the home is very warm and welcoming with its large, expansive and grand wooden doors. Your entrance is a very important part of your home—you want it to be appealing. This is the first taste that visitors will get of who you are and what your home looks like. This design is right on point with a gorgeous front door that is well-lit thanks to the dimming lights in the ceiling. There is also a clear, tiled pathway that leads visitors right up to the front door. Have a look at these 7 impressive ideas for your entrance for inspiration for your own home! If we head inside the home, we can see how light and bright this gorgeous space truly is. The designers have gone for an open plan design, with large glass windows and doors that allow for an easy transition between the interior and exterior spaces. 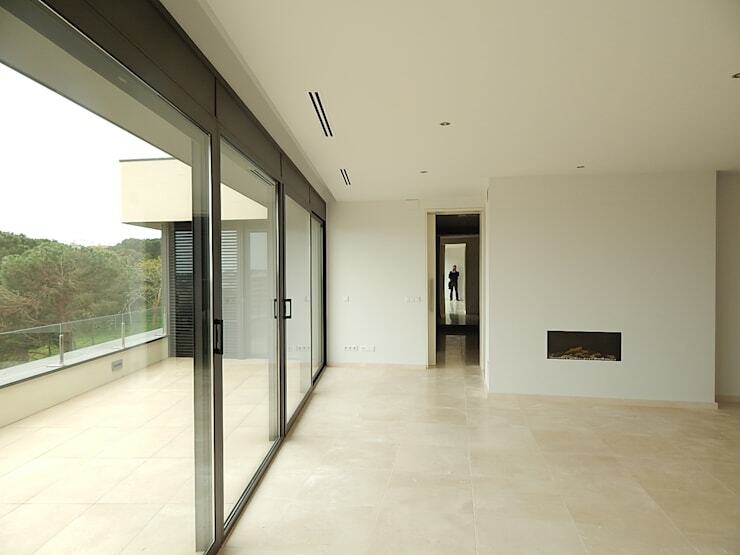 It also ensures that the home is filled with natural light, creating a warm and welcoming home. 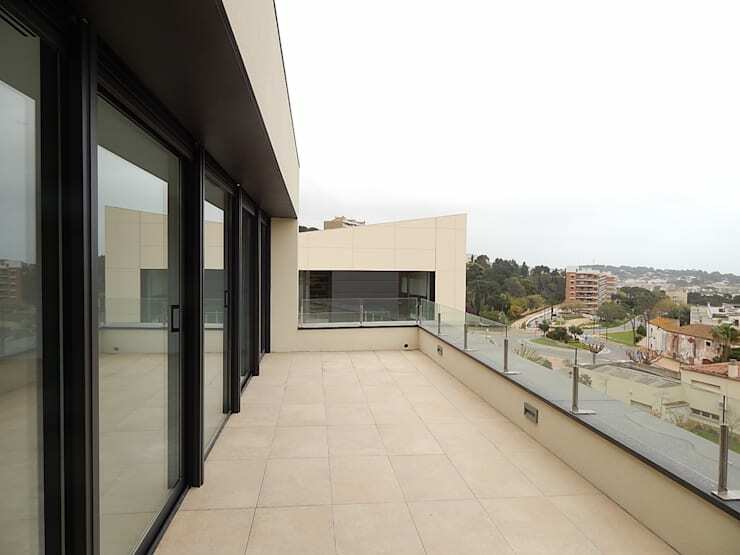 The connection to the balcony also visually and physically expands the interior space, making it seem that much bigger and more expansive. This living room space is simple and sophisticated, with a neutral colour palette that enhances the natural light. A little fireplace is tucked away in a niche in the wall, adding a bit of decor and design to the room as well as functionality. The living area spills out onto a large balcony and terrace, which provides the family with plenty of space to admire the panoramic views. This is the perfect area for relaxing on sun loungers or hosting an outdoor tea. By furnishing this space with some comfortable chairs and tables, you can create a whole new outdoor living area! Even the kitchen is flooded in natural light, thanks to the long, narrow windows that run along the entire length of the kitchen. 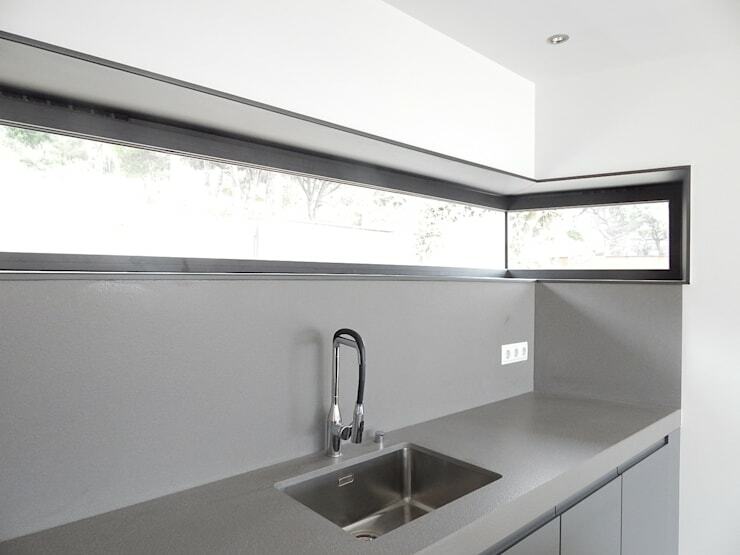 It also allows the person washing dishes or preparing food a chance to see what is going on outside. This kitchen employs sleek, grey tones, which makes for a very appealing space that is trendy and savvy. In the kitchen, we often feature silver appliances, which is why grey and white tones can work so well. Remember that you want your kitchen to remain neat and tidy at all times so make the most of kitchen storage. Keep your counters clear of anything that isn't functional or necessary! We end off our tour looking at the large and expansive swimming pool, which extends across this entire area. This pool is simply stunning and makes us want to jump in and swim immediately! 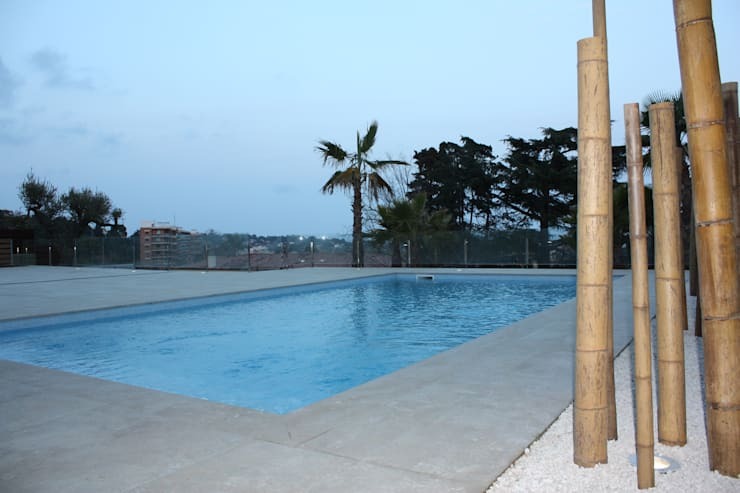 As we mentioned in the beginning of this ideabook, this swimming pool can be used for a multitude of functions for every single member of the family. This is a spot you'd never want to leave in summer. If you're looking at swimming pools for your own home, have a look at: What to know before building a swimming pool. What do you think of this beautiful swimming pool and family home?